Designed for demanding business people, this new generation of the most emblematic Samsonite business collection comes now even lighter and with more features than its predecessor. 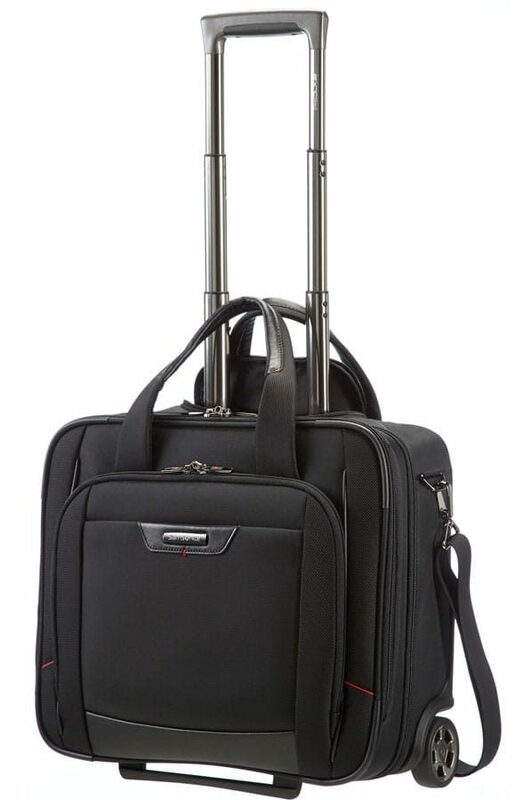 With a focus on improved organization and security, while significantly reducing the weight, Pro-DLX⁴ responds perfectly to the demands of the frequent traveller and business professionals. Pro-DLX⁴: Pure performance! High quality wheels and branded kick plate. Two top handles with real napa leather and one bottom handle for easy grip and easy lifting. Smart sleeve with velcro strap to secure this bag to your luggage, for effortless business trips. Comfortable, push button wheel handle, to travel the world in ease and comfort. Cleverly hidden behind zipper. Adjustable, ergonomic and removable shoulder strap for better mobility while travelling. One small zipped front pocket and one large zipped front pocket with one large slip-in pocket with velcro, two slip-in pockets for business cards, two pen loops, one phone pocket, one zipped pocket and one large zipped mesh pocket. Detachable key hanger with buckle closure on the top. 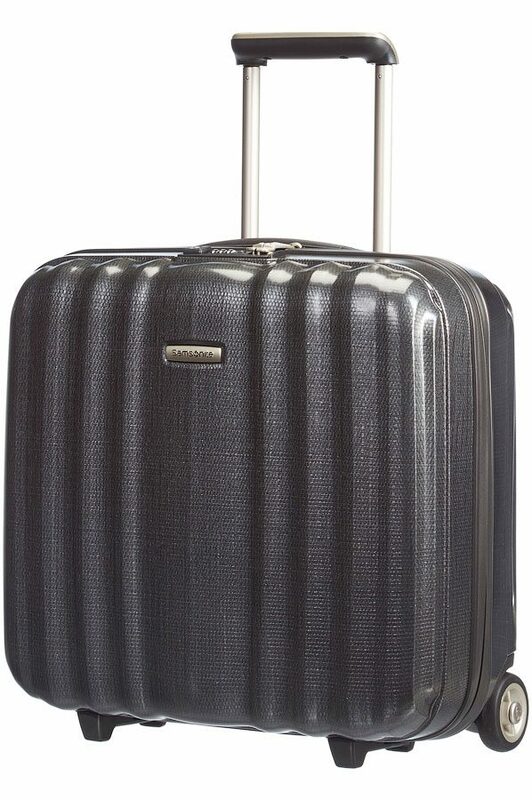 Zippers with discrete Samsonite logo which can be locked using a separate combi padlock with TSA. Armoured Nylon with napa leather accents. Removable padded laptop compartment with integrated slip-in tablet pocket with fleece interior and two slip-in document pockets.